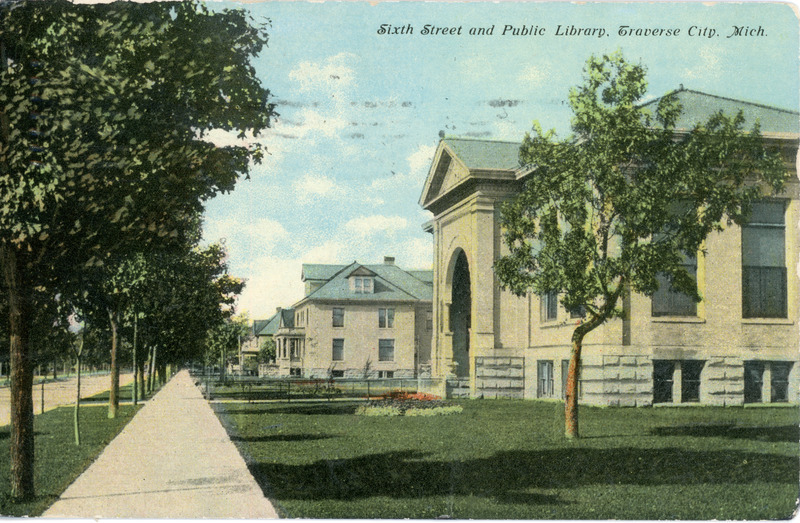 Colored postcard image of the historic Sixth Street district and the Carnegie Library of Traverse City, ca. 1910. S.H. Knox & Co., “"Sixth Street and Public Library, Traverse City," ca. 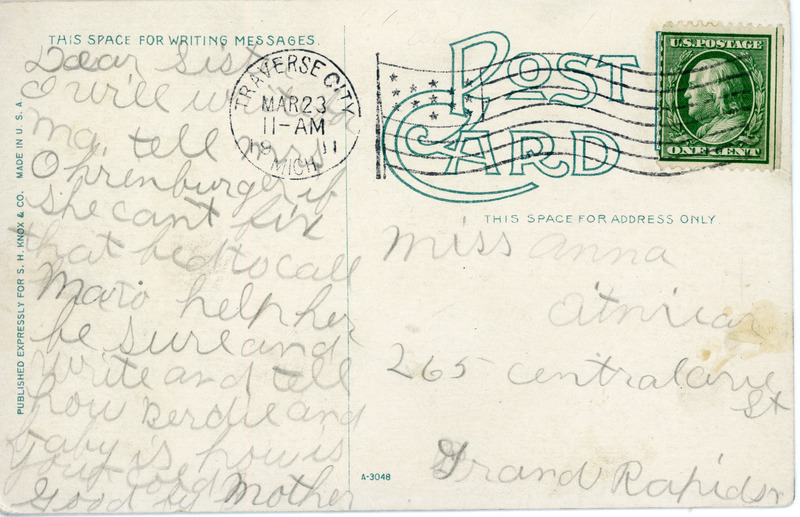 1910,” TADL Local History Collection, accessed April 21, 2019, https://localhistory.tadl.org/items/show/1974.